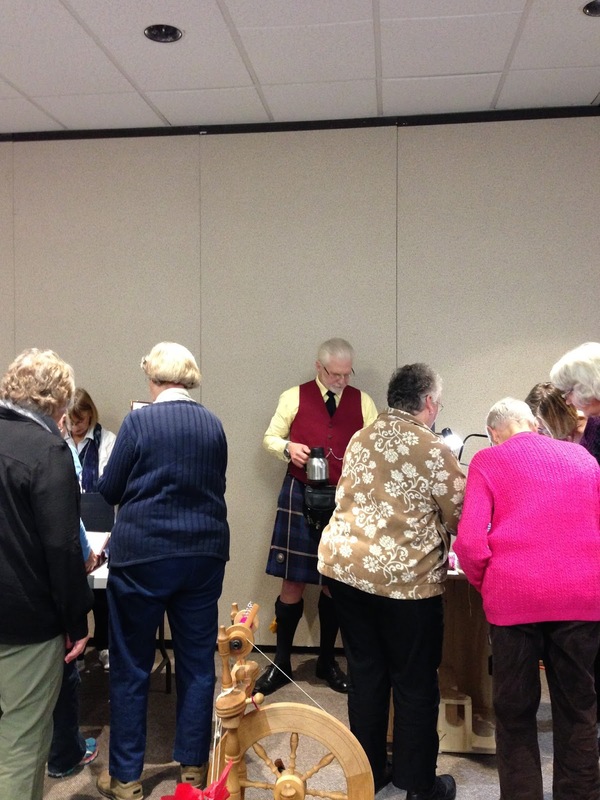 The Deep Cove Weavers and Spinners were pleased to have Steve Ashton from Freedom Kilts attend our November 17th meeting. 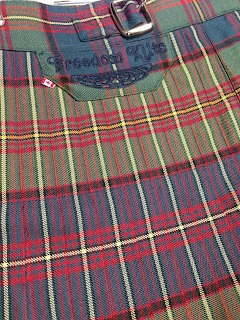 Steve is a designer and maker of contemporary kilts in Victoria. 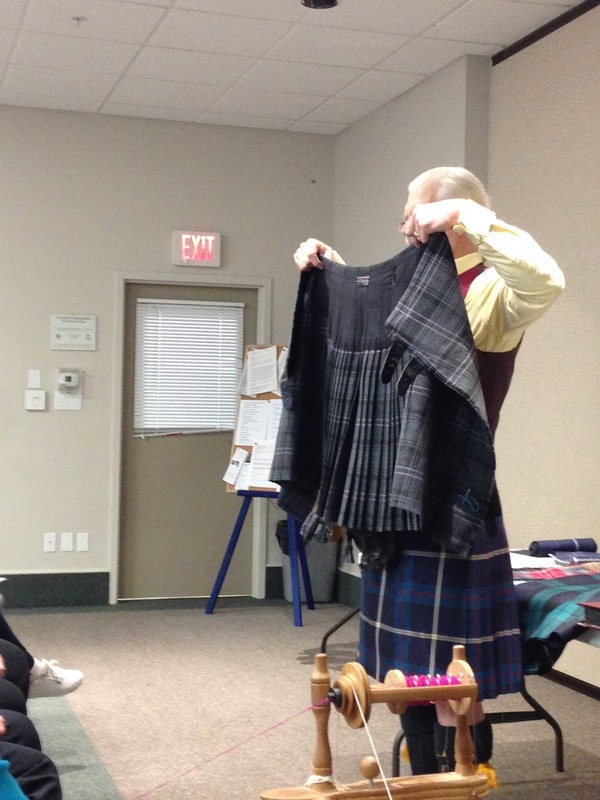 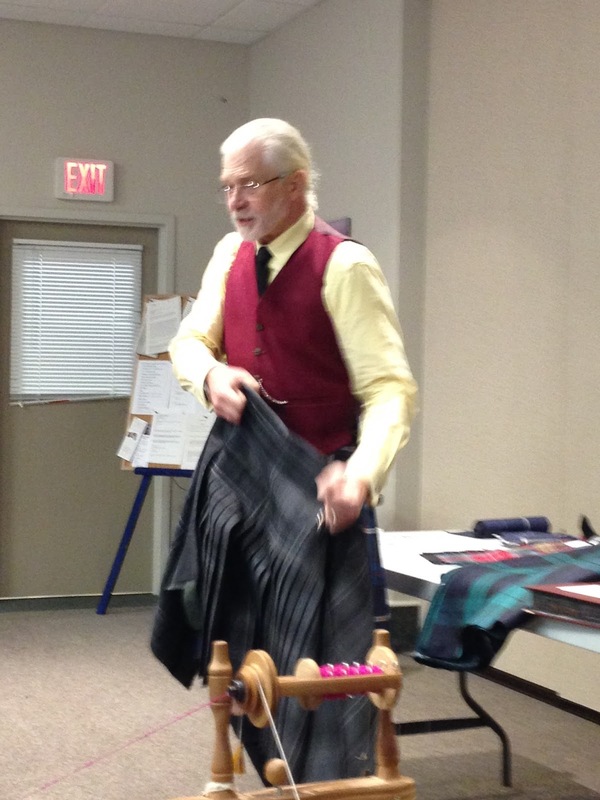 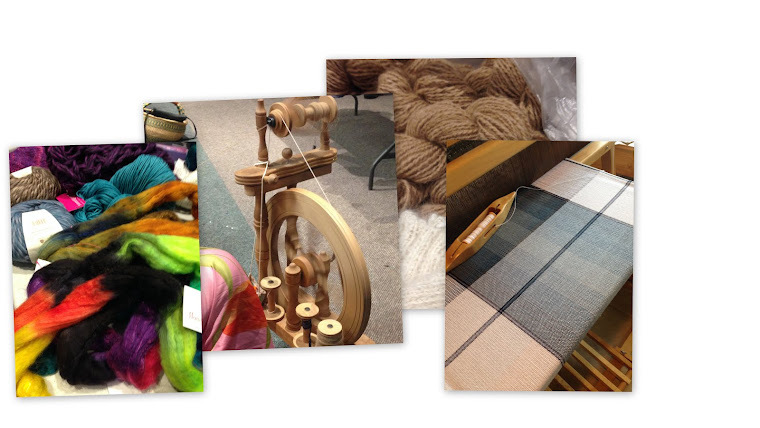 He shared his knowledge about the history of tartan fabric and the making of kilts. His stories and sense of humour made for a very interesting talk. 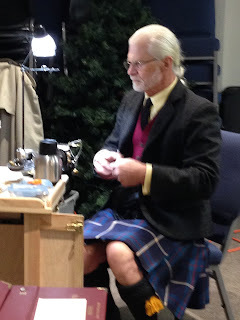 As he explained, after all is said and done its all about the 'swish' of the Kilt! 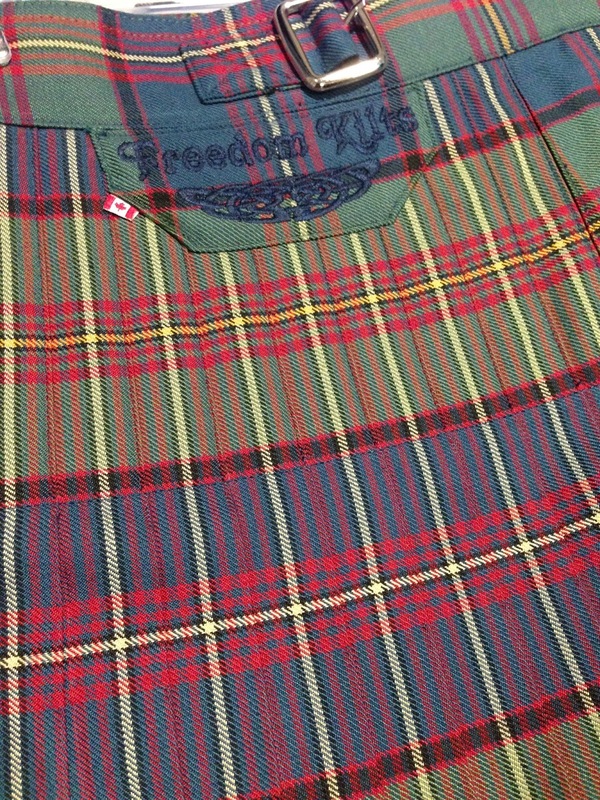 Details of Construction of a hand sewn kilt. Of course you must have the proper socks to go with a Kilt. 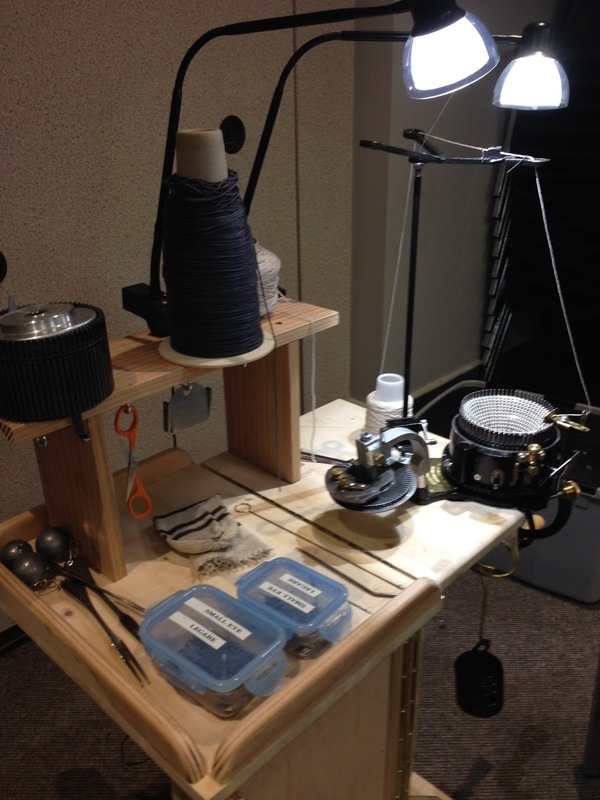 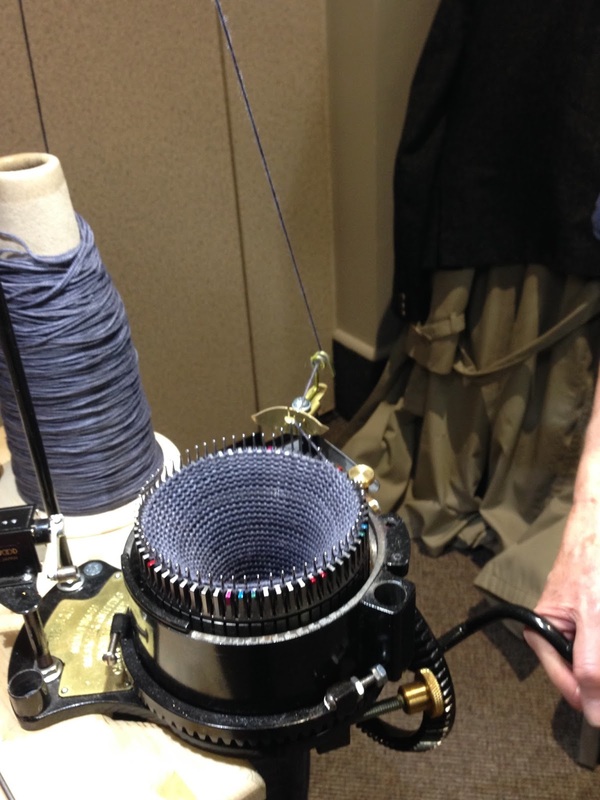 Steve brought along his sock knitting machine. 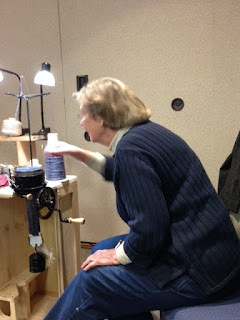 Sara - how does this work? Mobbed by the ladies - must be the swish of the Kilt!